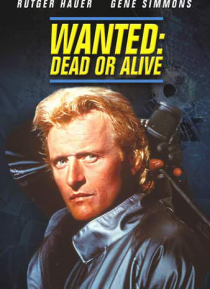 Nick Randall (Rutger Hauer) is a high-tech, fourth generation bounty hunter who "collects" society's criminal low-lifes for very healthy prices. But the tables have been turned on Randall. Now the bait in an FBI-CIA conspiracy, Randall is being hunted by international terrorist Malak Al Rahim (KISS' Gene Simmons). But the role-reversal won't last long. What was once a job for Randall has suddenly … become a very personal mission. He is after a brand of justice that no amount of money can buy!